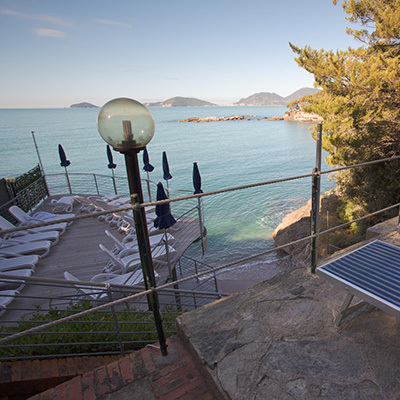 A walk down some steps takes you to the lovely private beach, with facilities which are exclusively for the use of Hotel guests. 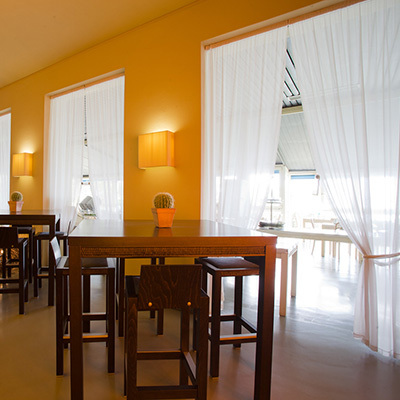 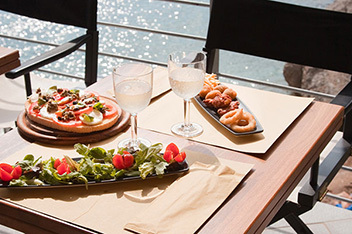 A beautiful terrace sheltered by a pergola and with a view of the bay, where you can enjoy a variety of fresh salads, focaccias, drinks and snacks among other things. 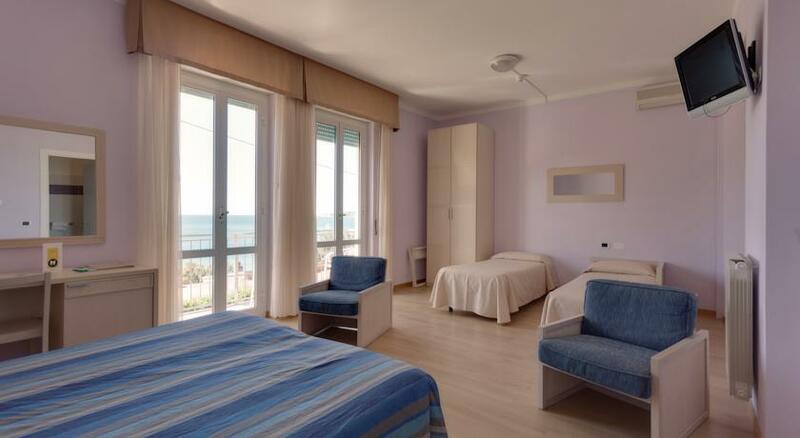 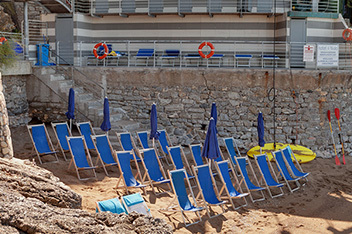 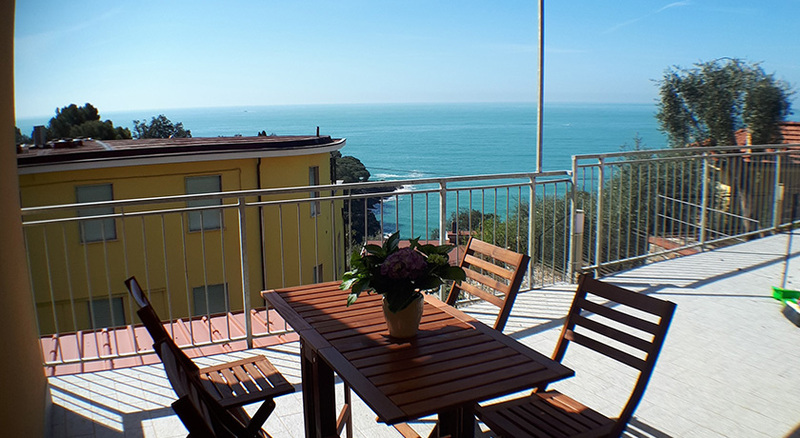 Hotel Il Nido is the ideal base for trips from Lerici to Levanto in the magnificent, unspoilt Ligurian area of the Cinque Terre, an experience not to be missed. 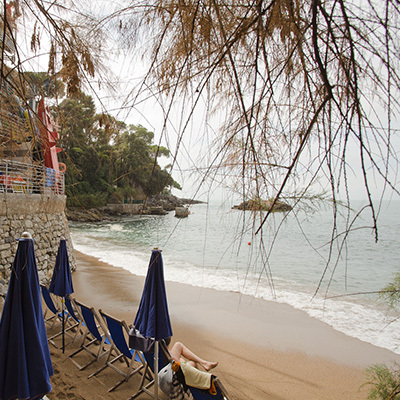 The Cinque Terre: Monterosso, Vernazza, Corniglia, Manarola, Riomaggiore. 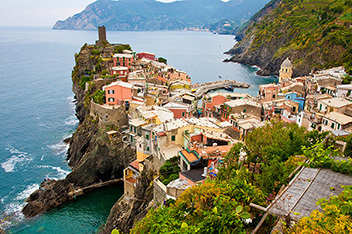 The Cinque Terre: an unspoilt natural paradise to be discovered. 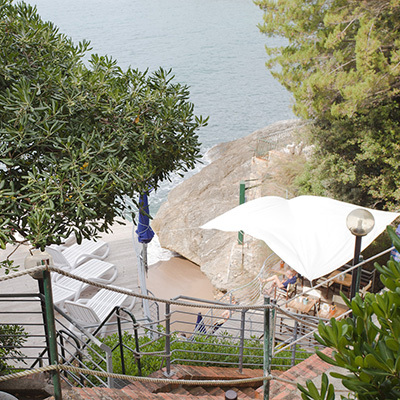 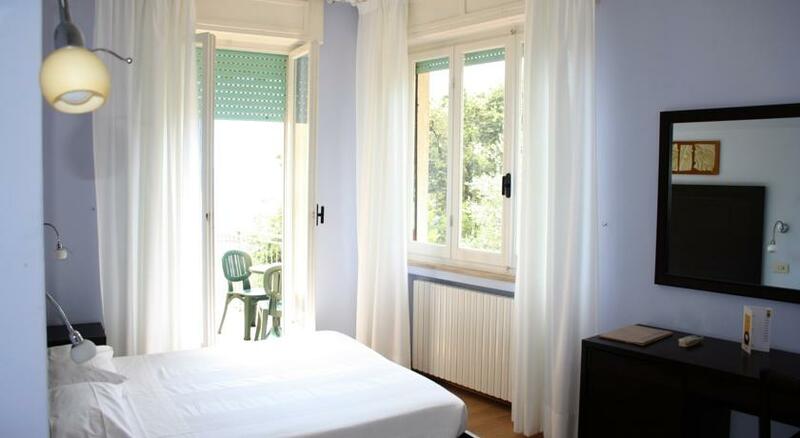 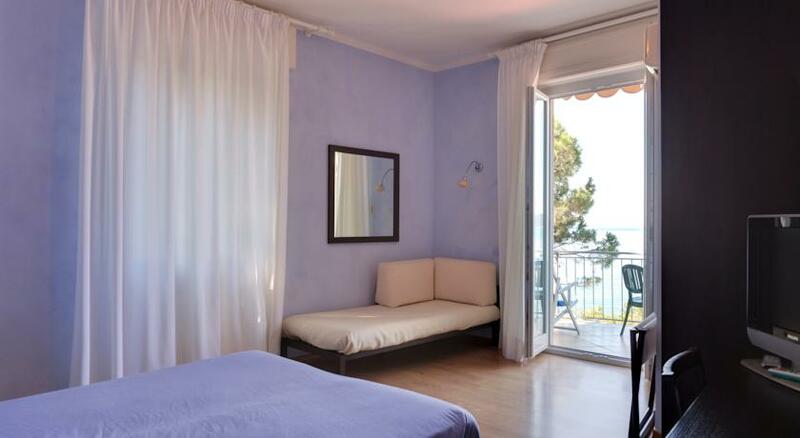 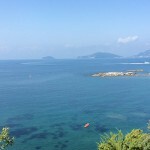 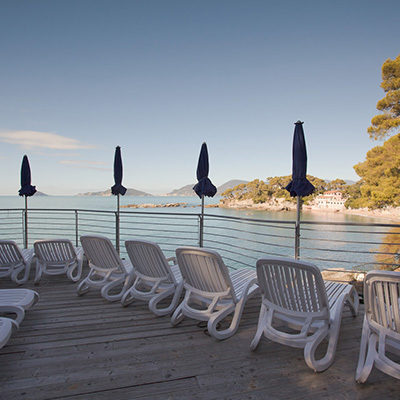 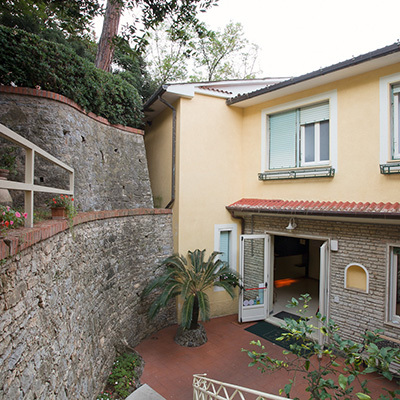 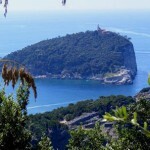 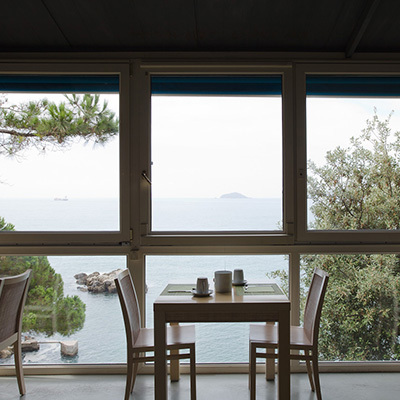 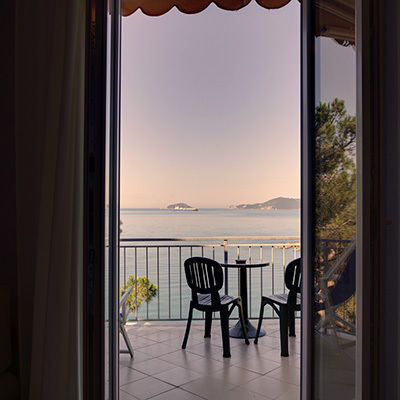 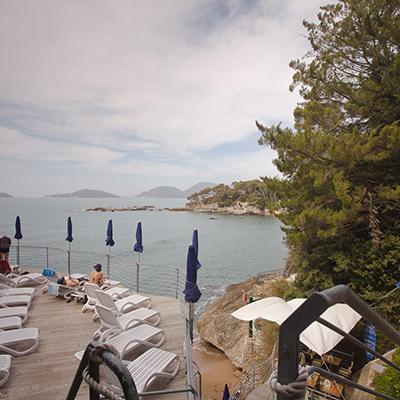 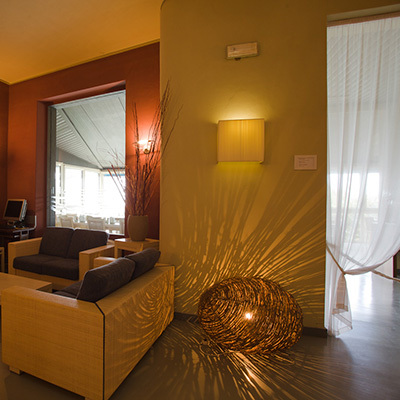 Hotel Nido, romantic and elegant, stands out against a backdrop of maritime pines and olive trees, in an enchanting position on a clifftop overlooking the sea of Fiascherino, near the famous town of Tellaro and Lerici.